"In memory of Angelo Mastrella. Rest in peace." "My condolences to you and your family on your loss. May your father live in your heart always." It is with heavy hearts that we announce the peaceful passing of Mr. Angelo Mastrella, at his home in Toronto, on October 28, 2018, at the age 89. 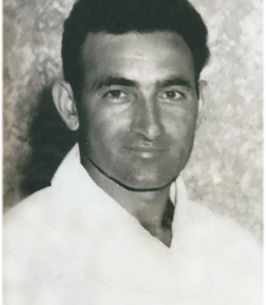 Angelo was the beloved husband of Maria Mastrella, cherished father of Silviana Ruscica (John), Pasqua Mastrella, Angela Della Siepe (Joe), and Marisa Mastrella (Domenico). Angelo was the much-loved Grandfather/Nonno of Domenica Grande (Peter), Thomas Ruscica (Deeana), Juliano, Marco and Joseph Della Siepe. Adored Great-Grandfather/Bisnonno to Valentina & Sofia Grande and Giovanni Ruscica. Born into a large family in the town of Villavallelonga, Province of L’Aquila, Italy. 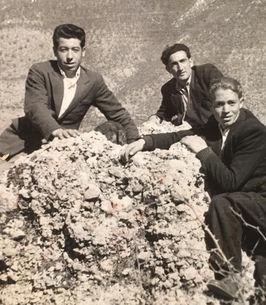 He was predeceased by his brothers Pasquale, Leucio and Valerio (Benigno) and sister Colomba and is survived by his sister Cristina in Villavallelonga. Long time employee of Olympia and York and the Reichmann Family. Long time member of Local 506 and a long serving and dedicated member of the Don Gaetano Tantalo Committee in Toronto. He graciously volunteered his services to the community festivities and was a great participant together with his Family. 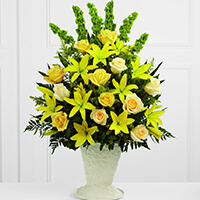 Angelo’s warm and caring nature will be greatly missed and he will always be remembered fondly by his many relatives and friends. 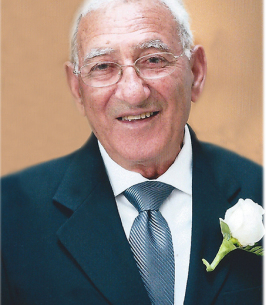 Relatives and friends are welcomed at the Bernardo Funeral Home, 2960 Dufferin St., on Thursday from 6 – 9 pm and Friday 2 – 4 & 6 – 9 pm. Mass of Christian burial in Immaculate Conception Church(2 Richardson Ave., Toronto), on Saturday November 03, 2018 at 10 a.m. Entombment in Glendale Memorial Gardens. Any donation to the Children’s Wish Foundation or Heart and Stroke will be accepted. To plant a tree in memory of Angelo Mastrella, please visit our Heartfelt Sympathies Store. Dear Marisa, I am so sorry to hear about your loss. My deepest condolences to you and your family. In memory of Angelo Mastrella. Rest in peace. My deepest condolences to the entire family on the loss of a great man. Zio Angelo was one of the nicest men I had ever met, may he rest in peace. Strength to all during this difficult time. Dear Marisa, My sincere condolences to you and your family. My thoughts and prayers are with you. I am very sorry to hear of the loss of a great husband, father, father in law and grandfather to all. He was a great man and your loving memories will keep he close always. Rest in Peace. We are so sorry for your loss. Your Humewood family is thinking of you. May his memory be a blessing. My sincerest sympathies for your family. So sorry for your loss. Dear Patty and the Mastrella Family, Please accept our deepest condolences for your family's loss. You and your family are in our prayers.